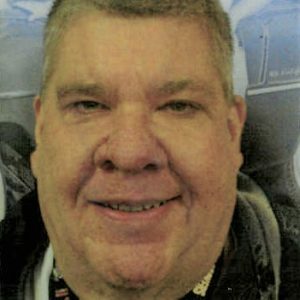 Thomas M. “T-Bone” Keane, 62 passed away Wednesday, March 20, 2019. He was born February 25, 1957 in Waterloo, IA to William R. and Arlene M. Brock Keane. Thomas worked at JEG’s and was also an announcer for National Trail Raceway. He enjoyed following the Columbus Blue Jackets and was a drag racing enthusiast. He worked for many drag racing associations: Good Guys, NMCA, IHRA and NHRA. In addition to his parents, he is survived by brother Jim Keane of Wisconsin and his lifetime friends John “Rocker” McMillen, Mark Bernhard and Susie Bernhard. He is preceded in death by his brother Dennis Keane and best friend Flying Phil Harris. Services will be held at 1PM Saturday, March 23 at THE SNOUFFER FUNERAL HOME, 1150 W. MILITARY ROAD, ZANESVILLE, OHIO. A memorial will be held at 3PM Sunday, March 24 at Mill Dam Tavern, 3982 National Road, Hebron and a Wake Party will be held at 6PM Sunday at Port Smokehouse, 9308 Township Road 79, Thornville.